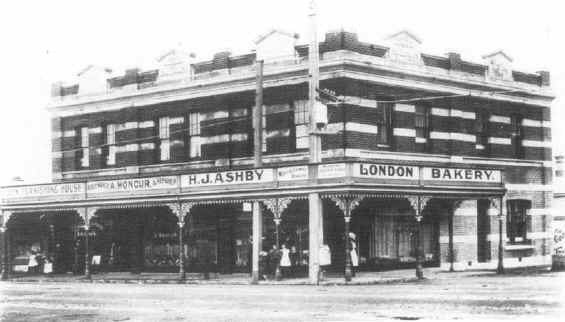 This area of Auckland has a rich history which is very relevant today, as we strive to preserve the historical character of the area. We try here to give a brief history along with some photos which are from the Auckland Public Library collection. The Maungawhau Pa was possibly built as early as 1200AD. The area from the mountain down almost to Dominion road was a closely populated area with an estimated population of 3000. The main weakness of the Pa was the lack of a water source on the mountain itself. This was ultimately the downfall of the Pa. The Pa was destroyed in 1700, after which a tapu was placed on the mountain. 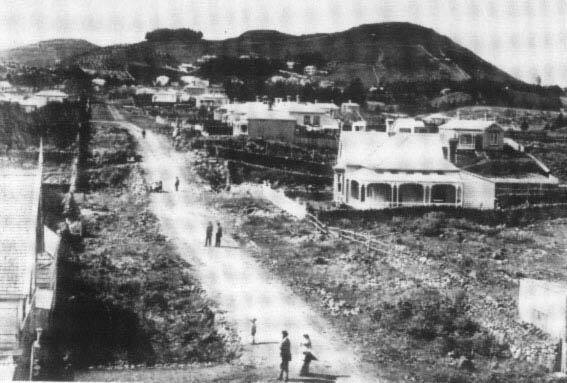 In the early 1840's Mt Eden was subdivided into 74 allotments along the main roads of Dominion, Mount Eden, and Normanby. These were auctioned as Crown Grants, and were mostly 27 - 36 acres. After the auctions most of the land was resold within a short peiod, some of the land having been bought by land speculators. Up until the 1870's the area was predominantly farming. 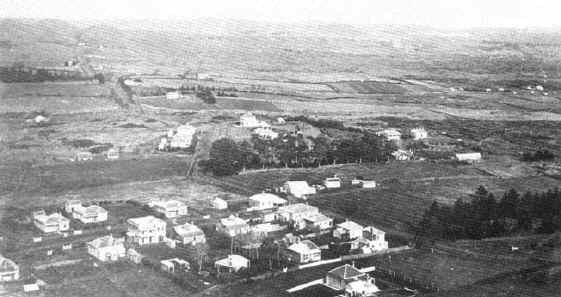 In 1868 the Mt Eden Highway Board was formed - the forerunner to the Mt Eden Borough Council. During the 1870's many allotments were subdivided, with many of today's roads being dedicated. The first school in Mt Eden, at the corner of Mt Eden and Valley Rd, was opened in 1887. 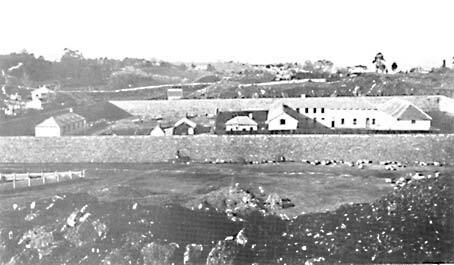 In 1879 the school shifted to its current site in Valley Rd. During the 1880's many residential sized allotments were created in the northern part of the area. 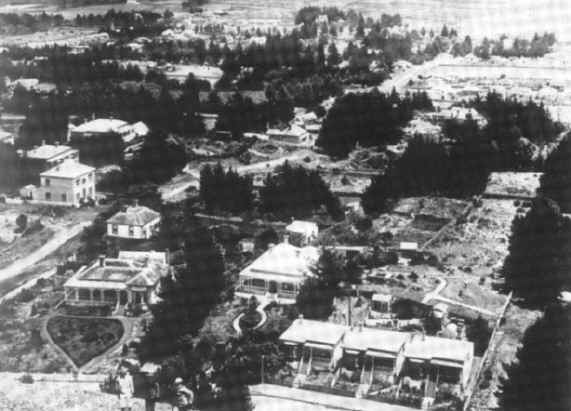 Edmund Bell subdivided two allotments creating 41 sections, and dedicated the following roads: Raleigh; Bellwood; Marlborough; Cromwell; and Taupata. In 1885 Charles Paice put in King Edward, Paice, Elizabeth, and Tanekaha. 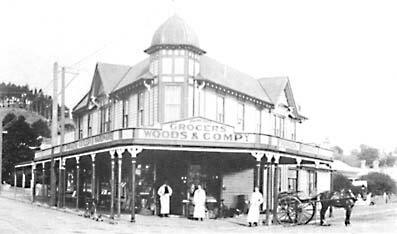 Also in 1885 the areas first Post Office was established at the corner of View Rd and Dominion Rd. 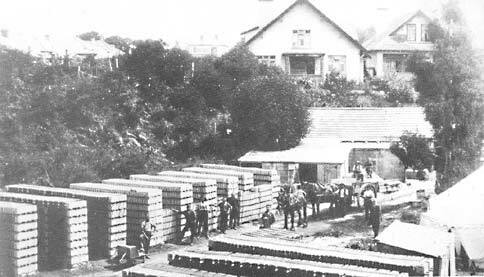 In 1886 Henry Hirst created 58 sections along Burnley Terrace. In 1889 Gas lighting was provided on the roads. 1902 Electric Trams operate in the area. 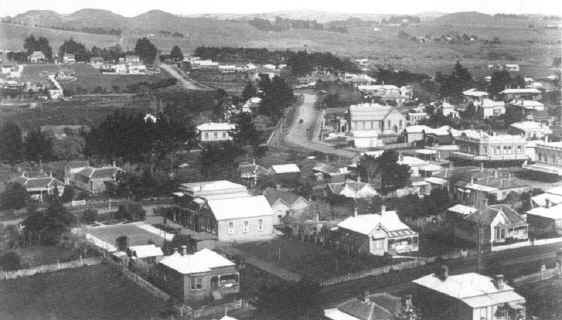 1906 Mt Eden Bourough Council formed. Subdivision of allotments in the south of the area continues. Trams have operated in this area since the early 1900's. The following photos were taken from a book "Around Auckland by Tram in the 1950s" by Graham Stewart. We are grateful to Mr Stewart for allowing us to use these photos. 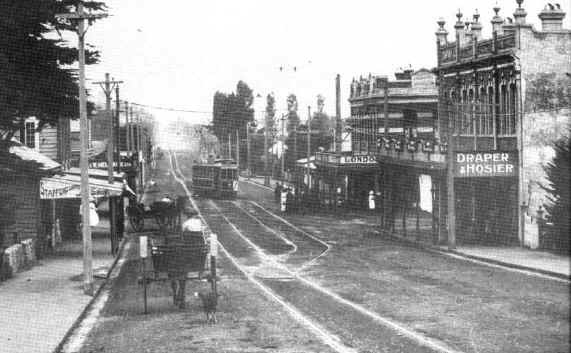 Photo: Mt Eden Rd and Lovelock Ave.
Kingsland - "This was the outer tram terminus when the line was first opened in 1903. The district was originally known as Rocky Nook. 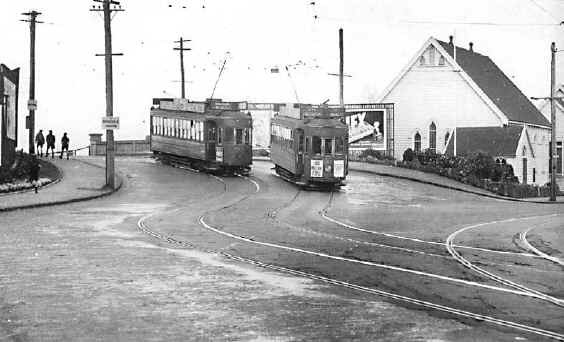 A proposal to change the name Kingsland to Beverly Hills was rejected in 1938"
Eden Park - "In 1925 a tramway loop line was built at Eden Park which held 35 trams. On the day the loop opened, the Rugby Union advertised in The New Zealand Herald that trams would run at one-minute intervals from the city into the Park grounds. When the game finished, rugby fans were carried away from the park by trams in under 15 minutes." Mount Eden Borough Council . Mount Eden Borough Council, Brent Mc Alister. Mount Eden Borough Council, Hugh Oliver. Mount Eden Borough Council, E.C.Franklin.